The Literature Connection is devoted to advancing literacy. We work within our immediate community and across the internet to promote all things related to helping children learn to love reading. Our involvement with schools and libraries, as well as boards of education, service clubs, and city-wide programs, allows us to work together for the betterment of literacy. 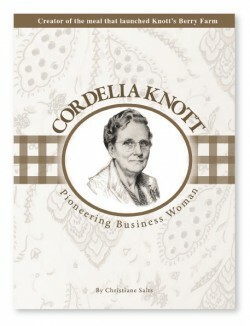 This book tells the remarkable story of how Knott’s Berry Farm, America’s first Old West-themed amusement park, was born and became famous because of Mrs. Knott’s chicken dinners and Mr. Knott’s vision. Suitable to be read by kids of all ages, including adults! 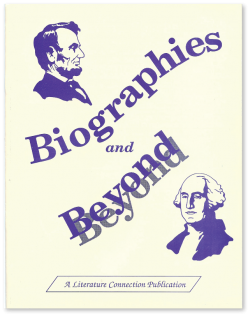 Here's a resource to use with biographies and fiction books as well! Ideal for use with upper elementary, middle and high school levels. Promotes use of higher-level thinking skills. Tied to English/Language Arts and Social Studies/History Teaching Standards. Encourages paired cooperative learning, allowing students to interact through the exchange of ideas. Guides students to analyze character traits through descriptive writing exercises. Helps students write autobiographical accounts of their own lives. Features 20 student-oriented activity and worksheet pages that emphasize writing skills. Here's a resource to use with any type of fiction book or story! Includes 22 easy-to-use student-oriented activity and worksheet pages. 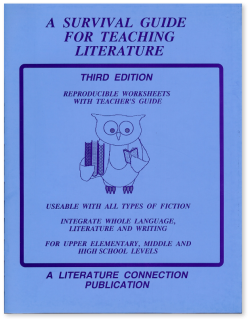 Also includes Teacher's Guide with Introductory and Follow-Up Activities. Teaches understanding of plot, setting and characterization. Features cooperative learning activities. Emphasizes higher-level thinking skills. Great preparation for doing writing samples. Designed to help lead students into, through, and beyond the fiction book or story they are currently working on. Worksheets and activities are mostly self-explanatory, and ideal for self-guided, independent student work. Activity sheets also teach literary elements and descriptive writing.